Mark has been breaking since 2008. He teaches, performs/competes, choreographs and judges battles/competitions. 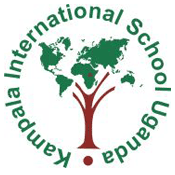 He has experience in working with children, youth and adults from diverse cultures and backgrounds. He works with dancers and athletes to build strength, endurance, speed & control. Mark works locally and internationally. He speaks and holds interactive/participatory educational discussions with individuals and groups of people in communities about various life topics and issues. He also directs hip-hop theater performances educating about social issues. Mark uses the creative facilitation approach to empower and build communities & people mainly focusing on increasing access to education, promoting good leadership practices, bringing together people from different backgrounds, promoting gender equality, cultivating artistic expression, self discovery, team-work & building, confidence/self esteem, Resilience, Non-conflict violent resolution, Career guidance, professional development and other developmental life skills. 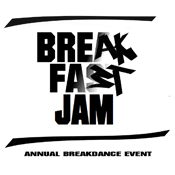 He plans, promotes, organizes and directs events; hip-hop jams, breaking/dance battles, arts/hip-hop exchange programs, workshops, community outreaches, camps, fundraisers etc.. Mark is the founding chairman of BREAK-FAST JAM ‘annual breakdance event’ http://break-fastjam.com/. Furthermore, he has worked on events like Hiphop for society ‘positive roles of hiphop in society’ by Breakdance Project Uganda, Kampala International School Uganda (KISU) Hiphop Jam (organizer by him), etc. Check bio page for more. Kaweesi Mark is a Ugandan social artist who uses his skills to empower people and uplift communities. His methods include: dance, creative facilitation, interactive/participatory discussions, leadership training, Self confidence & team building activities, organizing community events and exchange programs, beat-boxing (vocal percussion) and integrating other art forms. He is a teacher, student and admin member of Breakdance Project Uganda (BPU), a voluntary non-profit organization that uses breakdance, beatboxing, rap, visual arts and other art forms and alternative ways of learning to promote positive social change and social responsibility. 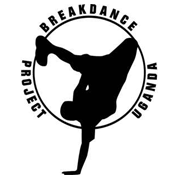 https://www.facebook.com/breakdanceprojectuganda He is a founder and chairman of Break-Fast Jam, an annual breakdance event held in Uganda and Kenya, and brings together competitors from East African countries and other parts of the world. 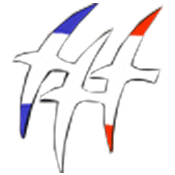 www.break-fastjam.com. Mark has worked with community centers, orphanages, NGOs, prisons (juvenile and adult), drug rehabilitation centers, children’s homes, ghettos/slums and on the streets, companies, seminars, festivals and events, local & international schools (kindergartens, primary, secondary and colleges).